Leeks vinaigrette is one of my favorite simple (yet elegant) vegetable dishes. Here, I've made a riff on the classic, using fat stalks of in-season asparagus, perfectly cooked in the Anova Precision Cooker. On top is a simple mustard-y vinaigrette, parsley, and a hard-boiled egg. You can prepare the hard-boiled egg on the stove or using this sous vide recipe. 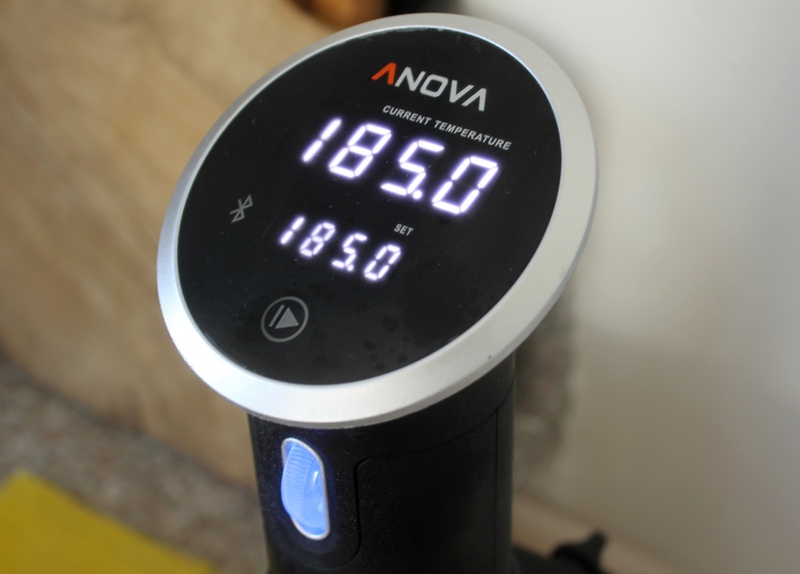 Set the Anova Sous Vide Precision Cooker to 185ºF (85ºC). Slice off fibrous bottoms of the asparagus and discard. 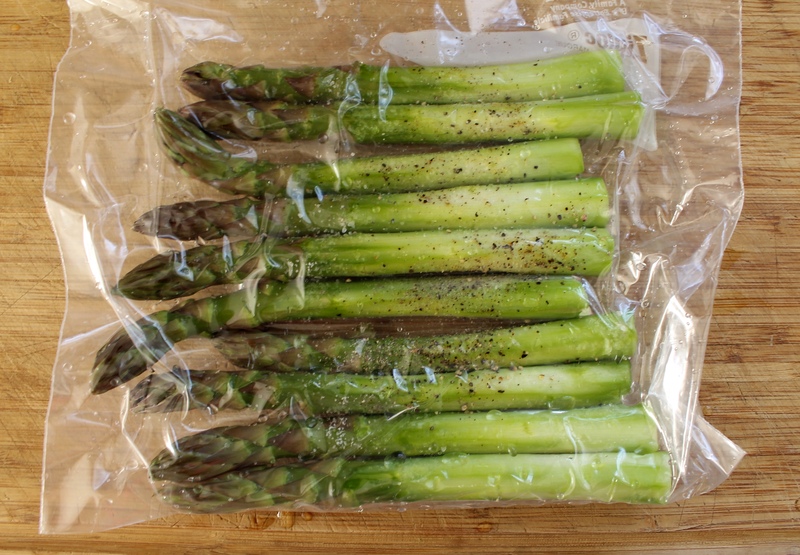 Peel the bottom three-quarters of each stalk and place in a single layer in a large zipper lock or vacuum seal bag Season with salt and pepper. Seal the bag using the water immersion technique or a vacuum sealer on the dry setting. 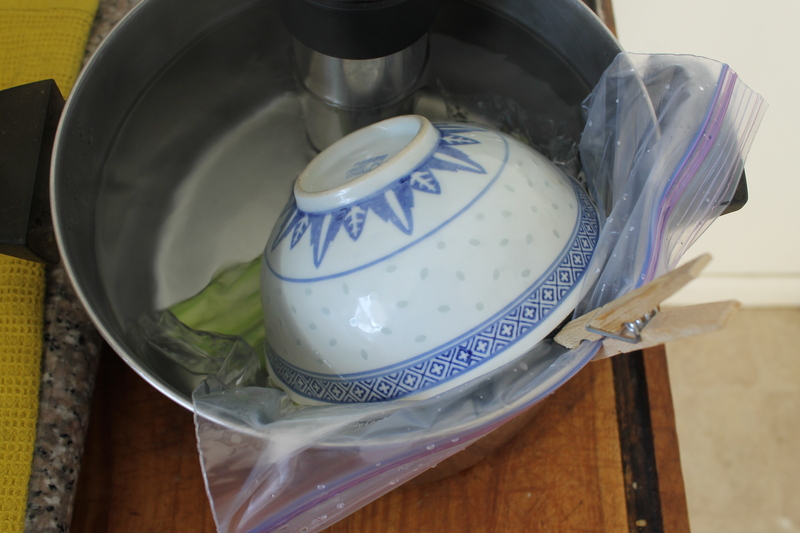 Place the bag in the water bath and set the timer for 15 minutes. You may need to weigh down the bag. While the asparagus is cooking, prepare the vinaigrette: Combine the olive oil, Dijon, and vinegar in a small jar with a tight-fitting lid. Season with salt and pepper. 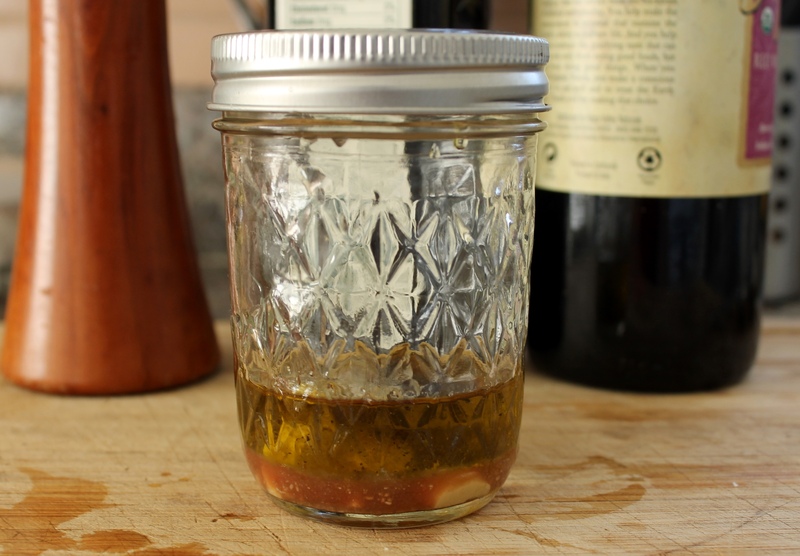 Seal the jar and shake vigorously until the dressing is emulsified. When the timer goes off, remove the bag from the water bath and immediately transfer to an ice bath. 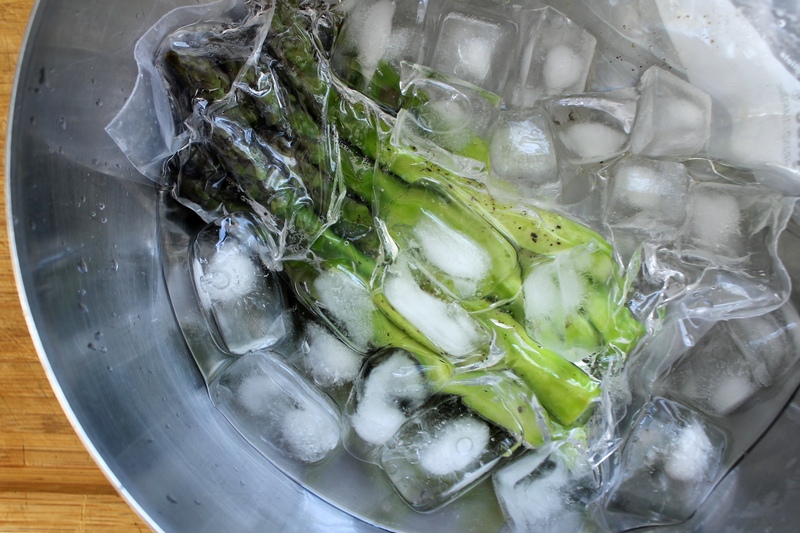 When the asparagus is cool, remove from the bag and discard any cooking liquid. Place asparagus on a serving plate and drizzle with vinaigrette. Top with egg and parsley. Serve.